Box Dimensions (LxWxH) 10.2 x 4.3 x 2.4"
GA 3 Rackmount Kit for G3 100/300/500 Series is rated 4.7 out of 5 by 14. Rated 4 out of 5 by Jud K. from Sturdy This rack mount is well made. The parts seem solid and precisely machined. It does have ears that stick out an inch and a half or so in the front. I suppose that is useful if it is in some portable case that risks impact to the front of the receivers. But in our permanent console installation, they are a bit of a nuisance. 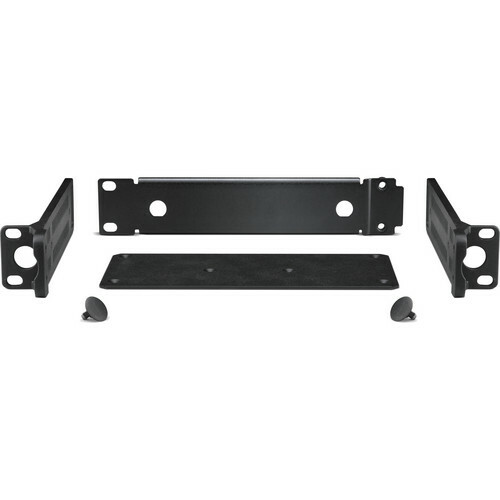 as all the other components' mounting hardware is flush with the rack rails. It would be nice if they were optional. There are no instructions, but installation is easy: Turn the units you want to mount over and lay them side by side. Use the small included screws to attach the large plate to the bottom of the receivers, joining them together. Make sure the plate sits with the countersinking bevel around the screw holes facing up so the screws sit flush in the plate. Then remove the two existing screws from the sides of each receiver, and attach the rack ears to that, with the ears in the front of the receivers. Rack mount with your own rack screws. Rated 4 out of 5 by Jim the A_V Guy from Works as advertised. Mounted in a standard rack under our soundboard. Great part: mounts easily and snugly. Not so great: There were no install instructions, and nothing was noted about needed cables to relocate the antennas. Ended up making my own extensions. Rated 5 out of 5 by Anonymous from Really solid build I spent 30 minutes trying to figure out how to install, and finally gave up and looked at the photo - duh. It is very simple to install, had it done in 5 minutes. It provides a solid, secure mount for my Sennheiser countryman receiver. Rated 5 out of 5 by Anonymous from Well built, great value! I have a 7 peice band and we use this rack mount kit for our wireless system. Very solid construction and easily assembled and racked in any standard 19 rack. Offers great protection for the G3 receiver. Rated 4 out of 5 by Diveguru from Big Heavy Duty Does a nice solid job of securing the receiver. There are extra ears that mount a, guard? These stick out, in the way, if you have no need for them. The mount is made of cast aluminum. 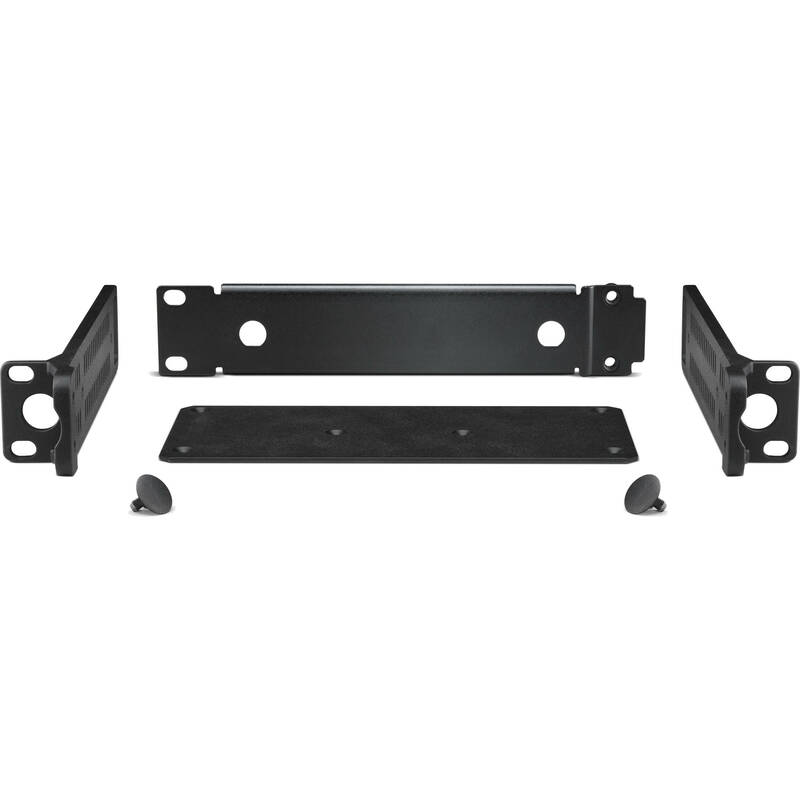 Rated 5 out of 5 by Leiva from Quality Machining This Rackmount kit is for TWO or ONE receiver. It does not come with assembly instructions but it is easy enough to figure out. It takes one Rack Unit and it sits nicely flush. Rated 5 out of 5 by DJKT from Built like a tank This kit is solid. I used it to mount two receivers side by side. Make sure you purchase the Sennheiser BNC Antenna Cables (extenders) to go along with the kit. Rated 5 out of 5 by Anonymous from Just what I needed. I used this product to rack mount my Sennheiser wireless receivers. They are sturdy and do the job. Is this works for ew300 g4? Will this one kit rack two of my wireless receivers? yes it allows you to place 2 units in a rack. the bottom plate is what ties the 2 units together.